Chak De India starred newcomers like Sagarika Ghatge, Shilpa Shukla, Vidya Malvade, Chitrashi Rawat and Anaita Bose. Even if you aren’t a Shah Rukh Khan fan, there are a very few films that will ensure that you see the other side of the King of Romance, which is more grounded and has a deeper connect with fans across India. Swades and Chak De India are two such films which definitely hold a special place in the hearts of the millennials. And while both the films infused patriotism in its own manner, it was Chak De India which became a youth anthem for years to come. The film did not just give a platform to 16 unknown girls, but it also showed Shah Rukh in a new light. He wasn’t a lover boy this time, he was rather the “Aurangzeb”, the tough mentor who prepared these girls to conquer the world. Chak De India released in 2007. This Yash Raj film was an experiment at a time when Bollywood relied more on its songs and dances. Here, we had a dozen of de-glam girls, picked from all across the nation, who looked as real as one can imagine. The film went on to become a blockbuster and a cult film too, and holds an emotional connect with the audience even today. As Chak De India completes 10 years of its release today, let’s list down the reasons why this iconic film will remain etched in our memories forever. The superstar gave us more reasons to fall in love with him. This time he played a middle-class man, a former hockey player who had his personal reasons to coach the Indian women’s hockey team. No, he did not stretch his arms, nor did he flash his dimpled smile, or romanced onscreen. He had only one goal – to get the perfect goal! From Aliya Bose to Bindiya Naik, Balbir Kaur, Gul Iqbal, Mary Ralte and Rani Dispotta, as varied as their names were, each girl brought her own freshness to the plot. They were hand-picked from across the nation, not for a film but to play hockey, some real hockey! The film might be a sports drama, but nowhere did we realise that the matches were scripted. The way the girls gave their blood and sweat to the game, only made every second of the film, real in all possible sense. Already intrigued to watch the film right away? The film was not just high on sportsmanship, patriotism and some real hockey strokes, but even music, quite a rare feat to excel in every department. Its songs and background score gelled well with the storytelling. “Badal Pe Paaon Hai”, “Maula Mere Le Le Meri Jaan” and the title track are still played on regular occasions. 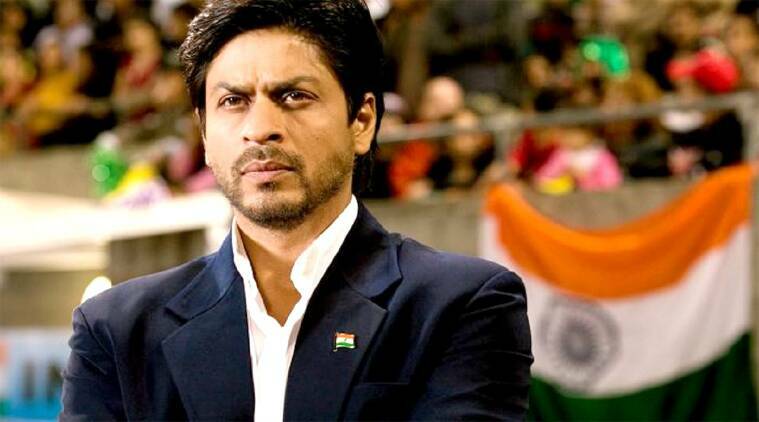 Chak De India was not just about an aimless women’s team finding its roots under the guidance of Kabir Khan aka SRK, it was also a reply to the society which believed that girls cannot play games, leave alone moving the hockey stick wearing shorts. The film, in its own way, also gave a fitting reply to a cricket crazy nation, which has simply forgotten that hockey is indeed the national game. Yes, the film raised several questions. Cheers to ten years of Chak De India!